Subscription Setup/Details Overview – Welcome to the NextMinute support and feedback centre. When you first log into your NextMinute account you will need to complete the Setup Checklist. 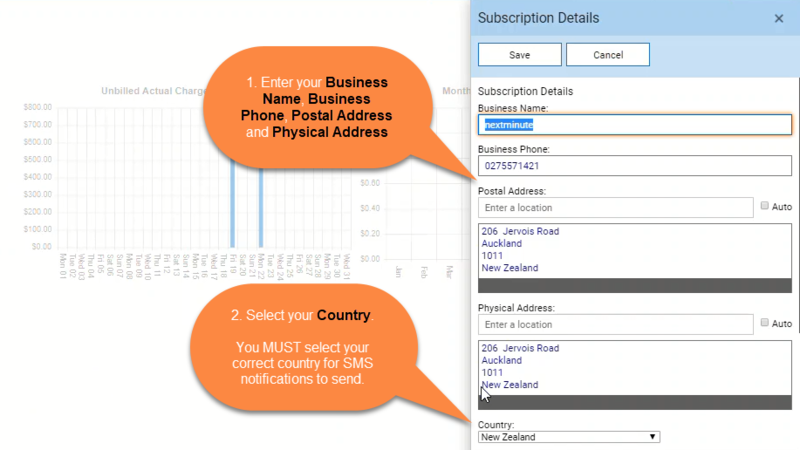 Filling in your Subscription and Business details is very important before you start working in NextMinute. When selecting one of the Subscription Setup sections you will be able to see all 9 sections to edit. Note: you must enter your Country for the SMS notifications to send.